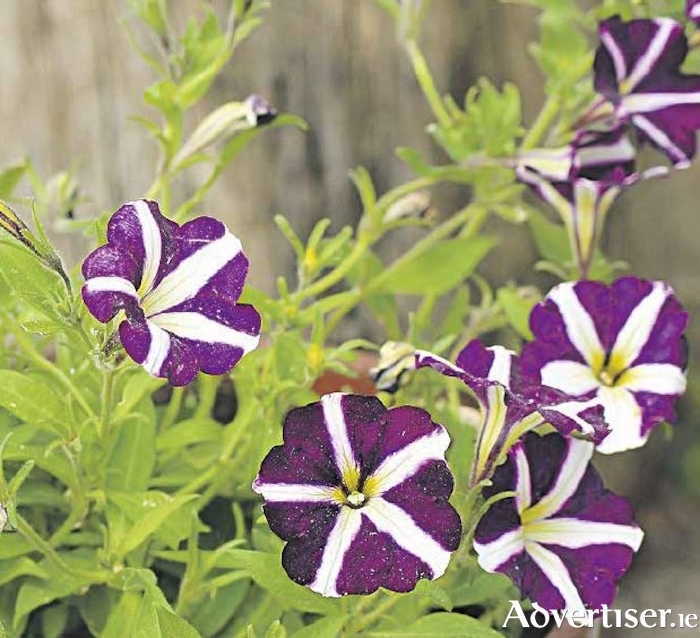 Advertiser.ie - Let there be Colour……. A visit to your local garden centre at this time of year is a lovely way to spend a Saturday afternoon – or indeed any other day of the week, when you may find it less crowded! You will be spoiled for choice as this is when the selection of summer bedding plants is at its very best, and if you buy your plants at a garden centre rather than a supermarket, you will find qualified staff on hand to help and advise you, so you can choose the plants that suit your needs best and get advice on how to plant and care for them too. Now that spring is finally here, and with good weather promised for the second half of the week, you can get busy brightening up the garden with a few splashes of colour. The plants sold for summer bedding are typically annuals, so they live for one season only, but they’ve been selected and developed by breeders to flower their socks off during that time, giving you non-stop colour for several months. Some, such as cosmos, cornflowers and annual asters, make handy fillers in borders where you have temporary gaps – perhaps in a recently planted garden whose permanent inhabitants will take a while to fill up the space. Many others look best in containers and you can select a combination of upright and trailing plants that will tumble over the edges of hanging baskets, pots and window boxes. You can choose colours that blend and harmonize or go for a riot of colour – the choice is yours. A few tips to ensure top performance from your summer container plants: Always use fresh multipurpose compost – the nutrients get used up quickly so last year’s won’t be any good for growing, although you can use it as a mulch on borders. Keep the compost moist – rain won’t always penetrate through the leaves so keep an eye on it. After four to six weeks, the nutrients in the compost will be fairly exhausted, so a liquid feed applied weekly or fortnightly gives them the energy to keep flowering. When you can, snip or pull off dead flowerheads to keep the display looking good and help prolong flowering. Enjoy the colour!